Surf News Network, 23 February, 2015. Why yes, it’s time for summer travel plans. While most of us focus on the bottom-line cost of a place to stay and the ticket to get there, there is often a surprise spike in overall trip cost when we go to check in surfboards at the airlines. Back in the day it was free to take your board on a trip, and collectively surfers still function in this mindset. But now airlines tap every available source of revenue, baggage fees, meal costs and now, of course, your surfboards. The good folks at LUEX Travel have done the exhausting work of researching current 2015 airline fees for surfboards in the table below. The list includes name of airline followed by a ‘Yes’ or ‘No’ as to whether they take surfboards and followed by the cost of board transport. Prices are in the local currency of where that airline is based. Aeroflot Yes Free – €150 Surfboards aren’t explicitly listed, but one boardbag should be included in your free baggage allowance (as with bikes/skis/snowboards). You must call Aeroflot to request carriage though. Air Asia Yes Varies Score a 50% discount and the option to add 15-40kg extra weight by booking online. Max Board length 274cm. Paying at the airport costs more and limits you to 20kg extra weight. Air Berlin Yes Free 1 boardbag can be taken as your free baggage allowance, though you must notify the airline at least 24 hours before flying. If you exceed the number of pieces in your free baggage allowance, you’ll be charged €50-75. No sports baggage on JustFly tickets. Air China Yes Free – $150+ USD Boardbags can be counted as your free checked baggage allowance if total linear dimensions (length + width + height) are less than 158cms. If your board exceeds 158cm total linear dimensions then you will be charge an oversize baggage fee. Charge varies by route, size and weight, but will likely be $150+ USD. Air France Yes €55-100 Boards 107-300cm long can be carried, though you’ll be charged €55-€100 each way, depending on route. You must notify the customer service department at least 24 hours before flying, but you can only pay at the airport. Air India Yes Varies Fees for board carriage are 50% of the normal excess baggage fee for the route. It’s a good idea to call the customer service department and confirm fees when booking your flight. Air Malta Yes 30 In principal surf equipment can be carried free in addition to your normal checked baggage allowance, though you should confirm this with the airline when booking. Air Mauritius Yes Free – €200 Boards under 200cms (length + width + height) and 23kg fly for free. When applicable, charges levied vary by route – from €55 to €200 each way. Air New Zealand Yes Free Boardbags up to 2 metres long can be taken as part of your free checked baggage allowance, plus multiple boards are allowed in one bag. 200cm is the normal maximum length allowed, but occasionally items up to 250cm long can be taken (by prior arrangement). Air Seychelles Yes Free Boardbags up to 158cm long and 15kg in weight fly for free. You have to sign a waiver that Air Seychelles is not liable for any damage during transit. Air Vanuatu Depends on plane Free Boards up to 250cms can be carried free as part of your checked baggage allowance on international flights, and boards up to 150cms can be carried free on most domestic flights. However, some smaller planes on certain routes lack the capacity to take surfboards. Call airline to check regulations on your route. Alaska Air Yes $25 USD One boardbag containing up to two boards can be taken for the normal checked baggage fee. Size restrictions vary by route. On Alaska Airlines flights 1-999 the boards up to max 292cm in length (alone) can be carried; on flights 2000-2999 and 3440-3499 the maximum combined linear dimensions (height + length + width) may not exceed 292cm. Alitalia Depends on route €75 – $260 USD Boards up to 300cm can normally be carried for a fee, though the amount and currency charged varies by route. Not all planes have room for boards, so you must check with the airline when booking. American Airlines Yes $42.50 – 150 USD You can take boards up to 320cm total linear dimensions for a fee of $150 USD, other than flights to/from/through Brazil. When travelling to/from/through Brazil, the first board is charged at $42.50 USD, and $85 USD for any extra boards. Ana Yes Varies Boards up to 203cm total linear dimensions travel free (if within your checked baggage allowance). If you take a board in addition to your baggage allowance, you’ll be charged a fee (amount varies on route) calculated by weight rather than size. You must call the airline when booking, as fees vary by route and not all planes can accommodate surfboards. Arikair Yes Varies Surf boards can be carried subject to a fee, which depends on route. Call airline to confirm chargs on your route when booking. Asiana Yes Free One board can be carried free if within the weight and piece imit of your checked baggage allowance. There are no extra fees for oversize bags, but you will be charged if you breach weight limits. Austrian Air Yes €50-100 Boards up to 2m ilong can be carries for €50 (each way) within Europe, or €100 (each way) on intercontinental flights. Not all planes can accommodate surfboards, so call the airline to check restrictions on your route when booking. Avianca El Salvador Yes $50-125 USD You can fly with one boardbag with up to 3 boards (max 370cm long and 32kg) for $50 USD if travelling to/from Brazil, or $125 USD if travelling to/from America. You can take a board bag on some routes to/from America for $100 USD. Azul Yes Free You can take a boardbag upto 23kg for free, as long as it’s within your free checked baggage allowance. Bahamas Air Yes $65 USD You can take a boardbag up to 203cm, subject to a fee of $65 USD. You must to pack the board in an official boardbag. Bel Avia Yes Free As long as the total weight is within your free baggage allowance ( which varies by ticket class), one surfboard can be taken for free. Only one board per passenger is permitted. Blue Wing Airlines Maybe Varies Ticket price is calculated by how much you weigh personally combined with the weight of your baggage. You should contact the airline directly when booking your flight. BMI Regional Yes Free – £30/€45 One board can be carried free if within checked baggage allowances, or for £30/€45 if not (up to 20kg extra) per sector. Any item between 21-32kg will be charged an extra fixed fee of £30/€45 per sector. British Airways Yes Free One boardbag (up to a 190cm x 75cm x 65cm and 23kg) can be carried as your free checked allowance. Board must be packed in a recognisable surfboard bag. Brunei Air Yes Varies Baggage with total linear dimensions over 147cm are charged by volumetric equivalent weight, but the airline waives the first 5kg of that for surfboards. Check exact fees with the airline when booking. Brussels Airlines Yes Free Boards traevl free of charge if within your free checked baggage allowance. Cape Air Depends on route Varies Not all planes have enough room for boards, so you should call the airline when booking. Carpat Air Yes $75 You can take boards for a fee of $75 per board. You must call the airline when booking to reserve space for your board. Cathay Pacific Yes Varies You can take boards free of charge on some routes, and between Hong Kong and Doha even recieve an extra 10kg weight allowance. Free baggage allowance also varies by route; where free baggage allowance is calculated purely by total weight, boards may travel free if within limits. On routes where free baggage allowance is calculated by pieces and dimensions, an extra fee is levied, though costs vary by starting point and destination. You should contact the airline directly when booking your flight. Cayman Airways Possibly Varies Some sporting items can be carried as part of free baggage limit, irrespective of size, though surfboards aren’t explicitly listed. Fees of $150 USD normally apply to items over 157cm total dimensions, up to a maximum of 203cm. You should contact the airline when booking your flight, to confirm fees and obtain written permission. China Airlines Yes Varies Normally boards cannot be carried as part of the free baggage allowance. Boards up to 277cms total dimensions will be charged at 100% of the applicable excess baggage, while larger boards will be charged at 150% of the fee, which applies per board. On flights to/from/within the SW Pacific boards can be carried as part of your free baggage allowance. If they exceed the free allowance, a board up to 277cm total dimensions will be charged at the applicable rate for 5kg of excess baggage, or 8kgs if longer. 100% of the applicable fee if larger. Only one board per passenger is entitled to the discounted rate. Any additional boards will be charged at the applicable excess baggage charge (by weight): one board up to 277cm total linear dimensions will be charged at the applicable rate of 5kg of excess baggage, or or 8kg if longer. The discounted rate is not applicable to passengers travelling to/from/within: American Samoa, Australia, Cook Islands, Fiji, French Polynesia, Kiribati (Canton and Enderbury Islands), Nauru, New Caledonia (including Loyalty Islands), New Zealand, Niue, Papua New Guinea, Samoa, Solomon Islands, Tonga, Tuvalu, Vanuatu, and Wallis and Futuna Islands. China Southern Yes Varies Fee varies by route and number of boards, but you must contact the airline to get permission to take a board when booking. Condor Yes $65-78 USD Boards must be pre-booked with the airline. You’ll be charged $65 if you register the board 30 or more days before the flight, or $78 USD if if less. Copa Air Yes $50-100 USD One boardbag with max two boards can be taken to all destinations for $100 USD, other than São Paulo and San Jose (where only $50 USD is charged). Corsairfly Yes Varies You can take boards for free if within the applicable free baggage weight and dimension limits (which vary by route). You should contact the airline to check exact fees when booking. Croatia Airlines Yes Free One board up to 200cm can be taken as part of your free baggage allowance. You have to pre-book the board with the airline. Czech Airlines Yes Varies You can take a board for free if within the applicable free baggage weight and size restrictions , or fee a fee if exceeding them. You must notify the airline at the time of booking. Easyjet Yes £35 One surfboard bag can be taken for a fee of £35 per leg. If the surfboard bag is your sole piece of checked luggage, it can weigh up to 32kg. If it is in addition to other checked baggage, you recieve an extra 12kg weight allowance. Egypt Air Yes Varies One surfboard up to 200cm can be taken as checked baggage, but is not included in the free baggage allowance. Fees are calculated at 50% of applicable excess bagage rate. Emirates Yes Varies Board bags up to 300cm total dimensions can be taken for the applicable oversize baggage fee for the route. No items exceeding 300cm total dimensions can be carried, with no exceptions. Etihad Yes Free Boards up to 300cm can be taken for free. Ethiopian Airways Yes Varies You can take boards up to 200cm for €40 within Europe or for €80 on intercontinental flights. Boards over 200cm are subject to a fee of €80 on European flights or €160 on intercontinental flights. Finnair Yes Free – €150 Boards under 190cm long and 23kg fly for free if within checked baggage allowances, otherwise (and for larger boards) a fee of €150 applies. First Air Yes $70 USD Boards between 161 and 292 cms (length + width + height) can be taken for a fee of $70.00. Flybe Yes £30 Normally boards can be taken for £30, though size restrictions apply on some routes. Call the airline when booking to reserve space for your board. Frontier Airlines Yes Varies Boards can be carried, though fee depends on route and travel class. You should check the exact fee with the airline when booking. Garuda Indonesia Yes Free You can take a board for free, if within the checked baggage allowance applicable to your ticket. Call the customer service department to confirm fees when booking. Georgian Airways Yes Varies Normal bagage restrictions are up to 158cms linear dimensions, but surfboards are listed as an exception. Excess fees are calculated by weight. Check with the airline when booking. German Wings Yes 50 You can take your board for a €50 fee. Boards must be pre-booked with the customer service department. Go Air Yes Varies Surfboards can normally be taken, but are possibly subject to an oversize baggage fee. Call the airline to confirm fees when booking. Gulf Air Yes Free A boardbag (up to 190cm and 32kg) can be taken for free as your checked baggage allowance. Hawaiian Airlines Yes Free – $150 USD Two boards( up to 292cm) can be carried in one bag. Fees vary by route, ranging from free (to Australia and New Zealand) to $150 USD. Some planes have limited cargo capacity, so call the airline to reserve space when booking. Iberia Yes $60 USD – €150/$150 USD You can take boards up to 250cm for €150/$150 USD, other than flights to/from Brazil, where only $60 USD is charged. Carriage is subject to available space, so you must contact the airline when booking. Iceland Air Yes €62 – €87 Price varies between routes to/from Iceland, Europe and North America. You must pre-book your surfboard. Interjet Yes Free You can take a board bag for free if under 50kg (yes, really!). Japan Airlines Yes $50-150 USD Price varies massively between routes, but you can take up to two boards per boardbag. Call the airline to check fees on your route when booking. Jet2 Yes €39 per flight Max length 182cms. You have to pre-book your board. Jetblue Yes $50 USD $50 USD each way, one board per case, which counts as one piece of your checked baggage allowance. No size restrictions, but must be under 45kg. Jetstar Yes Free A board can be taken free as part of your checked baggage allowance. Surfboards (including the bag) must not exceed 1.9 metres for Jetstar flights operated by an A320, A321 or B737 aircraft, and 2.77 metres for Jetstar flights operated by an A330 or 787** aircraft. Kenya Airways Yes Varies Surfboards over 107cm long must ALWAYS be pre-booked. A charge will always apply, but it varies by route. Call the airline to book your board and check fees before booking. KLM Yes €55-100 Fee varies by route, but you have to pre-book any boards 107-300cm long. Normally you have to take the boardbag as your sole piece of checked luggage. Kulula Yes Free You can take boards up to 190 x 75 x 65cm for free. Anything over 20kg will be charged extra, but its simple to add extra weight and pieces to your allowance. Lion Air Yes 200,000 IDR You should call the airline to confirm fees and board carriage when when booking. LOT Polish Airlines Yes €12-100 Boards can be taken for €12 on domestic flights or €100 on intercontinental flights. Not all planes are big enough to accommodate boards, so call to check with the airline. Lufthansa Yes €50-100 Boards up to 2m long can be taken on continental flights for a fee of €50, and on intercontinental flights for €100. You must call the airline to register your sports baggage before flying. Luxair Yes $50 Boards up to 30kgs can be taken for €50. Malaysia Airlines Yes Free One board up to 2.5m can be taken free of charge, if within your free checked baggage limits. Mango Airlines Yes Free Call the airline when booking to reserve space in the hold. MEA Yes Free First item of sporting equipent (up to 20kg) travels free of charge. Due to different regulations over different routes, you should confirm carriage with the airline when booking. Meridiana Yes €90-190 Boards can be taken for €90 on domestic flights, €100 on international, and €190 on intercontinental. Monarch Yes £24.99/€29.99 You can take baords up to 182cm for a fee of £24.99, which also grants an extra 20kg weight allowance. Oman Air Yes Varies You must call the airline when booking, as not all planes can take boards. Charges vary by route and ticket class. Penair Yes Minimum $50 USD It’s likely that your board must travel as cargo. Fees vary by route, so call the airline to confirm. Philippine Airlines Yes 1120 PHP You have to call to book your board, but the fee entitles you to an extra 15kg weight allowance. Qantas Yes Free Boards up to 277cm and 32kg can travel free as part of your checked baggage allowance. Royal Jordanian Yes $30-200 USD Fee varies by route, but there is always a fee for boards. Ryanair Yes €50/£50 €50/£50 per flight, with a 20kg weight limit. We recommend you call the airline to confirm max dimensions when booking. Saudi Airlines Yes $130-440 USD You have to pay to take your board, but the fee varies by route. You should call the airline to check fees on your route when booking. Singapore Air Yes Varies Surfboards can be taken for free if within size limits, which vary by route. Call the customer service department to confirm max dimensions and fees when booking your flight. Sky West Maybe Varies by route Charges vary by route and flight, and as not all planes have sufficient capacity for boards you should call the airline when booking. Solomon Airlines Maybe Varies by route You must call the airline when booking, as not all planes can take boards, and charges vary by route and ticket class. South African Airways Yes Varies On most routes boards under 200cms fly free, if within the free baggage allowance. You should call the airline to check fees on your route when booking. SouthWest Yes $75 USD You can take your board for $75 USD each way. It’s advisable to confirm exact fees and dimensions with the airline when booking. Srilankan Airways Yes Varies Free if within the checked baggage limit (32kg) Exceeding the checked baggage allowance on your route will incur fees, which you should confirm with the airline as they vary by dimensions, weight and route. Sriuijaye Air Maybe Varies Surfboards should fly for free if under 20kg. There is some ambiguity, so confirm with the airline when booking. Suncountry Yes $75 USD You can take boards for $75, but only up to 152cm. Sunwing Airlines Yes €80-100 Fee varies by route, but you must pre-book your board with the airline. TAP Portugal Yes €35-75 Boards fly for a small fee, but you MUST pre-book them. Thai Airways Yes Varies by route Can be included in checked baggage allowance for free if flying to/from Australia/New Zealand, otherwise fees vary by route. You should call the airline to check fees on your route when booking. Tiger Airways Yes Varies You can take boards under 190cm and 10kg as your free checked baggage allowance. Transavia Yes Free You can take boards for free, but you are NOT allowed to pack clothes/etc in the board bag. You must call the airline to pre-book your sports baggage before flying. 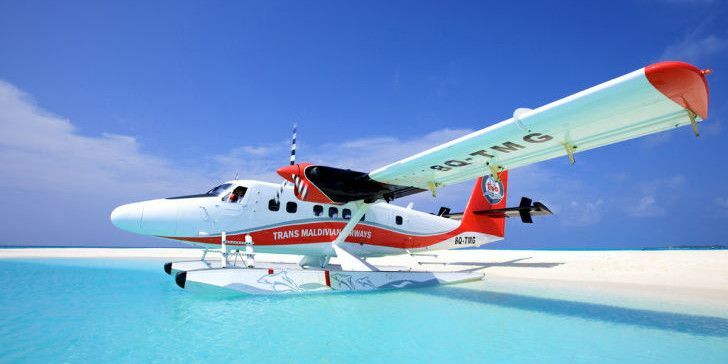 Trans Maldivian Airways Yes Varies In order to take oversized baggage like surfboards you must charter a flight, as there is no room on scheduled flights. Contact the airline, as charter costs vary by route and number of passengers. United Yes $150-200 USD You have to pay $150 (each way) to take a board on flights between the U.S., Canada, Puerto Rico and the U.S. Virgin Islands, and $200 (each way) for all other destinations. US Airways Yes $150 USD You can take boards for $150 – PER BOARD. You must call the airline when booking the flight, as not all planes can take surfboards. Virgin America Yes Normally $50USD You can normally take your board for $50, but oversize weight fees (which vary by route) can apply. You should call the airline to check fees on your route when booking. Virgin Atlantic Yes Free You can take boards under 23kg and 277cm for free, IN ADDITION to your standard checked baggage allowance. Virgin Australia Yes Varies Boards can be take as part of your free checked baggage allowance, but maximum permissable dimensions vary by route and plane. You must call to confirm board carriage before your flight, as not all planes are large enough to accomodate them in the hold. Viva Aerobus Yes 400-550 MXN You can normally take a board, but the charge will depend on route and how/where you pay it. Confirm fees with the airline when booking. Volaris Yes Free You can take boards under 2m for free, as long as you don’t exceed your free baggage allowance, which varies by route and ticket class. We advise you to call the customer service department to confirm fees when booking your flight. Vueling Yes €45 You can take a board for €45 each way. You have to pre-book sports baggage before flying. Westjet Yes Varies You can take boards under 3m, but expect to pay as all applicable excess/oversize baggage fees will be applied. We advise you to call the customer service department to confirm fees when booking your flight. Wizz Air Yes €30-80 You can take a board, but fees vary between €30-80 deoending on route and ticket class. Yemenia Maybe Varies Not all planes can accommodate boards, so we recommend you call the airline to confirm board carriage and fees when booking.